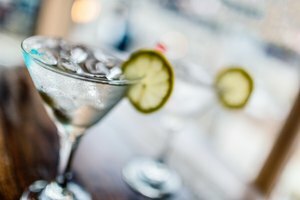 A coin style margarita, also known as a silver margarita, is made with silver tequila and Cointreau. It's referred to by both names depending on the area, and is known differently in different parts of the country. 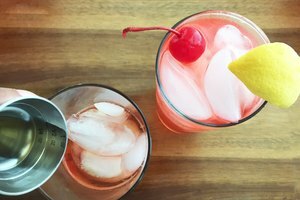 This recipe yields one 4-oz. 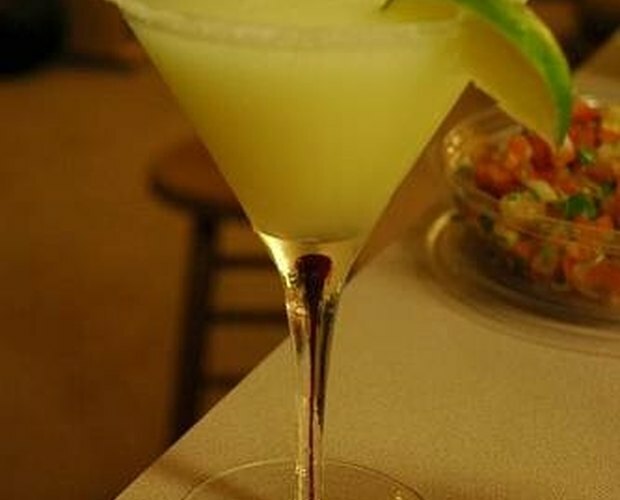 coin style margarita, but the ingredients may be doubled or tripled to make a larger batch. Fill a cocktail shaker about &#xBE; of the way full with ice cubes. Add 2 &#xBD; oz. of silver tequila and one ounce of Cointreau. Stir to combine with a drink stirrer or teaspoon. Cut a large fresh lime in half using a sharp kitchen knife. Squeeze the juice from half the lime into the cocktail shaker and stir to combine with the tequila mixture. Cut the remainder of the lime into wedges and set aside. Place the lid on the cocktail shaker and shake vigorously for 20 to 30 seconds or until the outside of the container becomes very cold and begins to perspire. Set aside. Pour about 1/8 cup of margarita salt onto a small saucer. 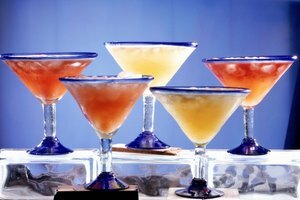 Wet the rim of a margarita glass and dip it into the salt, turning lightly to thoroughly coat the rim. 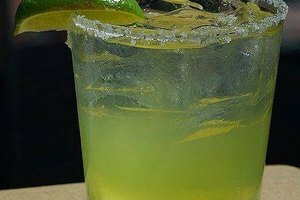 Strain the coin style margarita into the margarita glass, or pour with the ice, if desired. Garnish with a lime wedge and serve immediately. Garnish with an orange wedge instead of the lime or use a wedge of each fruit. 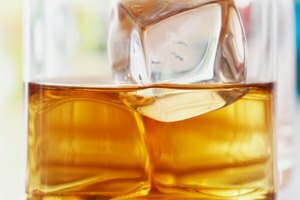 Any type of orange liqueur may be substituted for the Cointreau, if desired.